Casapulla’s Grocery & Deli has been a long standing family run business since 1956 spanning over five decades and four generations. 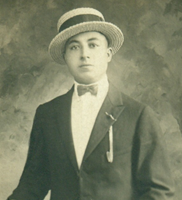 The founder of Casapulla’s Grocery & Deli was Luigi Casapulla. He and his wife Anna Zampini Casapulla were Italian immigrants that had nine children. In 1956, Luigi bought a neighborhood grocery store in Elsmere, DE. Since Luigi was working two jobs, he enlisted the help of his children to work at the store. About the same time, chain grocery stores were coming to Delaware and Luigi knew he would need to do something in order to compete. It was then he expanded the delicatessen to offer Italian subs and cheese steaks and began the migration from a grocery and deli to a full service Italian Delicatessen and eat-in restaurant that served Italian subs, deli meat subs, cheese steaks, burgers and salads. Through the years, all nine of Luigi’s children and all twelve of his grandchildren have worked at Casapulla’s. 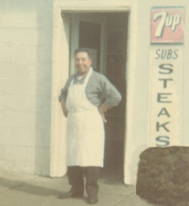 In fact, over 50 years later, three of his children, ten of his grandchildren and even his great grandchildren are carrying on the proud tradition of serving quality Italian and American food that is fresh, baked in our ovens and made to order subs that many people say are the best sub they have ever eaten. We welcome you to come by and try one for yourself and decide who has the best sub in Delaware. 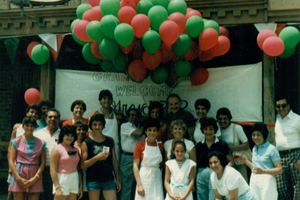 In 1980, Luigi opened his second location in Hockessin, DE. Again he had the help of his children and grandchildren. He was always at Casapulla’s behind the counter serving amazing made to order subs and talking with customers every day until his death in 1985. In 1984, Paula LaPenta, Luigi’s granddaughter, and her husband Mike LaPenta opened Casapulla’s South, now known as Casapulla’s Subs in Lewes, DE and continued to carry on the tradition of superior food and friendly welcoming customer service. Casapulla’s is not just a place to eat, it is a place to make memories year after year when you buy subs for a picnic on the beach, your family gatherings, sports events or drop in for a sub and conversation or catch up on your reading while you eat. The tradition continued to carry on through the family with more Casapulla’s grand openings. 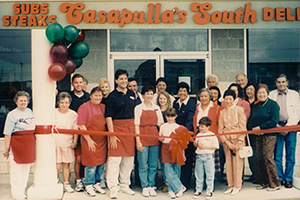 In 1989 Joseph, Luigi’s grandson opened Casapulla’s in Glasgow, Delaware and in 1992 David, Luigi’s grandson, opened Casapulla’s North in Wilmington, Delaware. In June of 1999, the Hockessin property was sold to allow allowed Rose, Phil, Joe and Betty, Luigi’s children, to join their sisters, Vee & Marion, in a much deserved retirement. In March of 2006, Annie, Luigi’s granddaughter, opened Casapulla’s in Newark, Delaware. In May of 2007, Joseph opened his second location in Middletown, Delaware. Luigi would be proud to know his name, his work ethic, quality food and customer care is still thriving. We say customer care vs. customer service because all of the Casapulla’s locations get to know and care about their customers. We, as a family have been truly blessed. We are honored to carry on our family tradition and continued success. We thank you, our loyal customers and friends because without you there would be no story. We look forward to serving you at one of our family owned and operated locations.